There are many "electric motor repair shops" around. To be precise, according to our industry association, EASA (Electrical Apparatus Service Association), there are over 1800 member shops in the world with 1300 of them being in the United States. 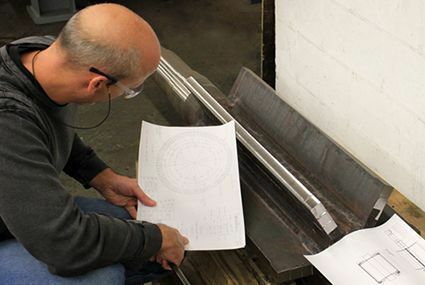 Our procedures and forms are one-of-a-kind. They are put together for each different motor type: AC Ball Bearing, AC Sleeve Bearing, DC Ball Bearing, AC Synchronous, AC Vertical, etc. 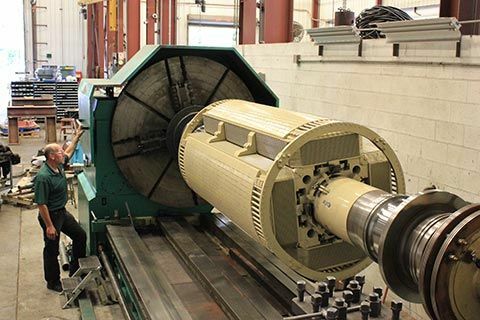 There are different tests and procedures to follow for every different motor, and hardly any are simply Pass or Fail. We record the results of each test for future comparison or customer review. 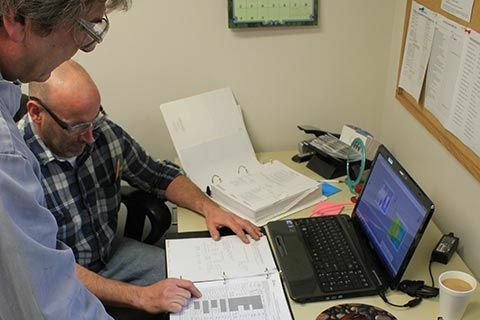 We invite you to come take a look at our testing procedures and compare them to others. We have nothing to hide - it's all right there for your review and documented for the future. A motor must be cleaned during the repair process to remove any and all contaminants. Then, it must be baked out to remove any residual moisture. 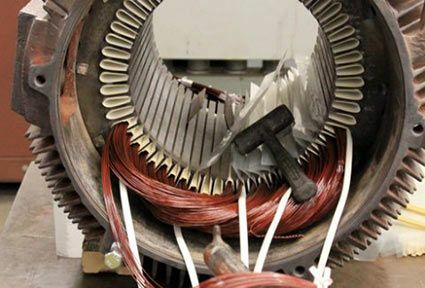 There are many "rules of thumb" that are used to determine how long a motor should be baked. However, how long does it take the middle of that mass to come up to a temperature that removes the moisture? We factor that in. Through precise temperature probes we ensure that the middle of the mass has come up to temperature and that all the moisture has been removed. Without this process, you could be varnishing over the top of moisture and trapping it within the motor. This could lead to a premature failure, so we take steps to ensure all moisture is removed. 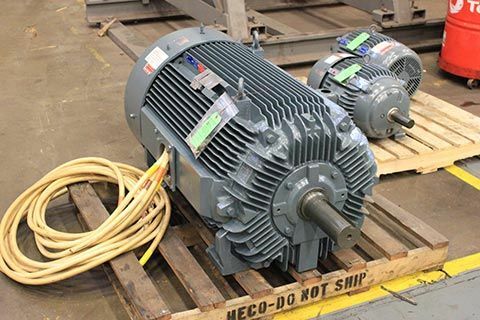 The motor may need to bake out for a longer period – sometimes several days – but you're assured the repair process is being performed correctly. 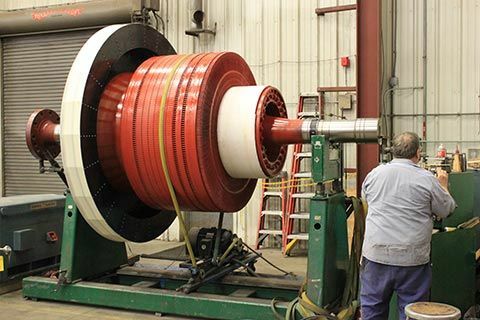 We perform many rewinds on low, medium, and high voltage motors. We were one of the first EASA shops to install a Vacuum Pressure Impregnation (VPI) system when only the manufacturers had them. We didn't just get a VPI tank to be competitive, we got it because we understand the benefits of a void-free insulation system. Each motor that goes through our VPI system is different; the coil design is different; the layers of tape on the coils is different. So instead of just following industry "rules of thumb" for how long to process the VPI, we calculate the time it will take for full penetration. 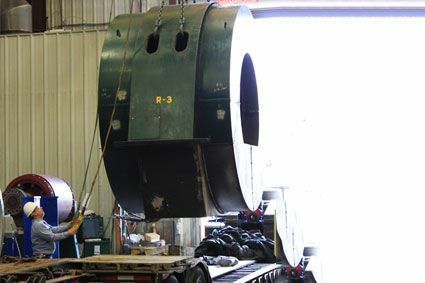 On top of that, we send a sample coil through with each process we run – we then cut the coil in half, before curing the resin, to ensure the process went per our calculations. 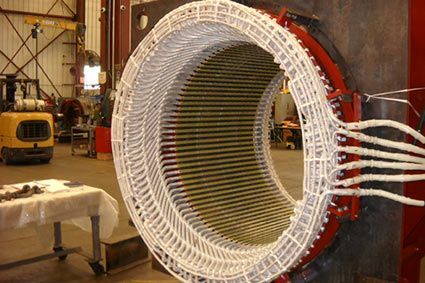 You're left with a verifiable, void-free winding that will ensure longevity of your winding and insulation system. With circulating currents becoming more and more common since the introduction of Variable Frequency Drives (VFD's), as well as other causes, mechanical components have failed due to these currents. Besides the currents causing direct harm to the bearings - what also happens is magnetism is created in the motor shaft, making for potential failures in the future. HECO checks magnetism on every motor we have in house. and even has the correct equipment to remove this magnetism from the mechanical components. 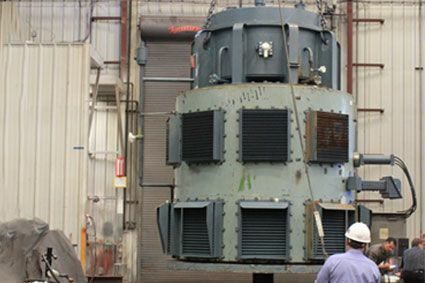 Simply installing a shaft grounding device, such as an AEGIS Shaft Grounding Ring, does not remove magnetism that has already been created from the currents – it only prevents it from happening again. So we remove the magnetism, essentially fixing one of the results of the currents, and install an AEGIS ring to prevent it from happening again. 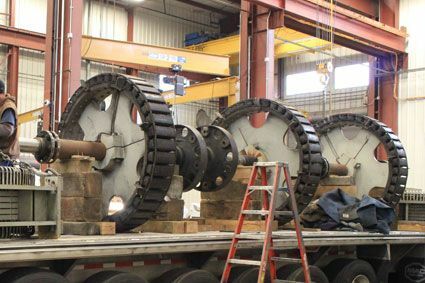 The result is mechanical components that have been wiped of the problems these currents can cause with a device that will protect from the currents in the future. A one-of-kind solution from HECO. There is one basic principle that we use to explain our difference: What vs. Why? Our industry has a standard for "What" companies. When a motor fails, the repair shop asks "What is it? I'll come pick it up." These shops do a great job and generally get the customer out of a bad situation quickly. However, using a "What" mindset shop can become frustrating. Failures can keep recurring with no solution in place to stop them. 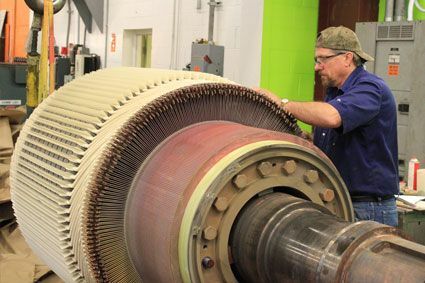 "What" shops do a great reactionary job and can work around the clock to get that motor back to you, but the motor keeps failing and you keep having downtime. The difference is that we are the "Why" company. Using the above example, the fault lies in never stopping to ask "Why did the motor fail in the first place?" or "Why don't you have a spare so your plant can keep running despite the failure?" We want to help you become proactive and fix something correctly the first time. Let's be realistic, we cannot always understand what took place from looking at just the motor. We have to ask our customers questions in order to learn the events that took place leading up to the failure, and the history of the machine – so we can perform a true root cause analysis. If we looked at just the motor, we could just be looking at the result of a failure, not what actually caused it. Why are you removing the motor? Did it fail? How long has motor been in service? What type of motor starting? These questions are the starting point to help get us to the "Why" of any issue you are having. We then use the answers you provide us with to focus in on potential issues with the motor.